Performance of a website is very important to make users happy. Here are my easy tips to improve the performance of an ASP.NET Core Web application. Performance is one of the key attributes of a public website to make it successful. If a website takes more than 3 seconds to respond, the user doesn’t usually go back. Google and other search engines also prefer to recommend optimized, mobile-friendly, and faster websites. Let’s take one example. We have multiple search engines like Google, Bing, Baidu, Ask.com, and many more; however, we prefer Google or Bing because these are very fast and can get us results within 3-4 seconds. If these search engines take more than 10 seconds, would you still use them? I don’t think so. Today’s users don’t want to wait. Today, we will learn some tips that will help improve the performance of an ASP.NET Core website. ASP.NET Core is a free, open source, and cross-platform web development framework provided by Microsoft. 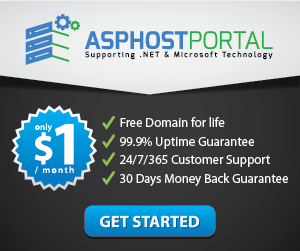 It is not an upgraded version of ASP.NET but it is a completely rewritten framework from scratch which comes with a single programming model for ASP.NET MVC and ASP.NET Web API. Let’s start with the tips for performance improvement of an ASP.NET Core application. The first version of ASP.NET Core was released in 2016 with Visual Studio 2015 and now we have ASP.NET Core 3.0 available. Each new version is getting better and better. You will see a major difference between ASP.NET Core 1.0 and 3.0. Tip of the day – When building a new ASP.NET Core project, don’t forget to select the latest version. Visual Studio 2019 now supports ASP.NET Core 3.0. While developing ASP.NET Core applications, try to avoid creating blocking calls. Blocking call means a call that blocks the next execution until it is not completed. Blocking call or Synchronous call can be anything, either you are fetching the data from an API or performing some internal operations. You should always execute the call in an asynchronous manner. Asynchronous programming model was introduced in C# 5.0 and became very popular. ASP.NET Core uses the same Asynchronous programming paradigm to make an application more reliable, faster, and responsive. You should use the end-to-end asynchronous programming in your code. Let’s take one example; we have one ASP.NET Core MVC application with database implementation. As we know, it could have many separations and it all depends on the user project architecture but let’s take some simple example where we have Controller > Repository Layer etc. Let’s see how you will write the sample code at the controller level. These block the thread until the task is completed and wait for the completion of the task. Wait blocks the thread synchronously until the task completion. Wait and Task.Result both wrap any type of exception in AggregateException and create complexity while doing exception handling. If you use the await instead of Task.Wait and Task.Result then you don’t have to worry about exception handling. Wait and Task.Result only can be used if parallel task execution is going on. We recommend that you don’t use it with Async programming. Let’s understand a good and bad example of Task.Wait as follows. Let’s understand a good and bad example of Task.Result as follows. While performing I/O operations, you should perform them asynchronously so it won’t affect other processes. I/O operations mean, doing some execution with a file like uploading or retrieving files. It could be anything like image uploading, file uploading or anything else. If you try to accomplish it in a synchronous manner then it blocks the main thread and stops the other background execution till the I/O does not complete. So, as per the performance point of view, you should always use the Asynchronous execution for I/O operations. We have lots of Async methods available for I/O operations like ReadAsync, WriteAsync, FlushAysnc etc. Here is one simple example, of how we can create a copy of one file asynchronously. We can increase the performance of the application if we can reduce the number of requests to the server every time. It does not mean that you will not make the call to the server, it only means that you will not make the call to the server EVERYTIME. The first time, you will make the call to the server and get the response and this response is stored somewhere for the future for some time (there will be some expiry) and next time when you will make the call for the same response then first you will check if you have already got data in the first request and stored somewhere and if it is yes then you will use the stored data rather than making the call to the server. Keeping the data in that location from where we can get it frequently without making the call to the server is a good practice. Here, we can use the Cache. Caching the content helps us to reduce server calls again and again and it helps us to increase the performance of the application. We can do the cache at any point of a location like on client-side caching, server-side caching or client/server-side caching. We have different kinds of caching available in Asp.Net Core like we can do the caching In-Memory or we can use Response caching or we can use Distributed Caching. Reduce the number of HTTP calls, which means you should always try to reduce the number of network round trips. Try to get all the data in one go. This means rather than making multiple calls to the server, just make one or two calls which can bring all the required data. Custom logging, authentication or some custom handler code which executes on every request should be optimized. But if you write your data access logic in optimal ways in EF Core then definitely it improves the performance of the application. Here we have some of the techniques which will increase the performance. Use No Tracking while getting the data which is the only read-only purpose. It improves performance. Try to filter the data at the database side, don’t fetch the whole data using query and then filter at your end. You can use some function available in EF Core like Where, Select which help you to filter the data at the database side. Retrieve the only required number of records which is necessary using the help of Take and Skip. You can take one example of paging where you can implement Take and Skip while clicking on the page number. Let’s take one example and try to understand how we can optimize the EF Core query using Select and AsNoTracking. Write optimized and test code. You can also use code samples from expert coders including product documentation. The code written by the product team, such as C# team is usually optimized, modern, and follows best practices. Use optimized and well tested APIs and libraries. For example, in some cases, ADO.NET may be a better choice than Entity Framework or other ORM libraries. If you have larger file sizes or downloads, you may want to think about using a compression algorithm. There are several built-in compression libraries such as Gzip and Brotli. Use of bundling and minification reduces the number of server trips. Try to load client-side assets such as styles, JS/CSS in one go. You can first minify your files using minification and then bundle those in one file which will load faster and reduces the number of HTTP requests. Make sure to reduce the size of images by using compression techniques. If you’ve only a few styles and JS files, then it’s ok to load from your server. For larger static files, try to use a CDN. CDNs are usually available in multiple locations and files are served from a local server. Loading files from a local server can improve website performance. Today, we learned how to improve the performance of an ASP.NETCore application.